Papa used to say that anything worth doing is worth doing well. With these words at the forefront of my mind, thus begins my newest writing project: brief musings on life, parenting and getting old(er). I promise to not always be serious, and I promise to not always be sarcastic. I promise to tell you why I will never buy a Hawaiian shirt, why my youngest son wants a new father and why listening to Phish from the age of 15 taught me more about critical thinking than most classes I ever took in school. 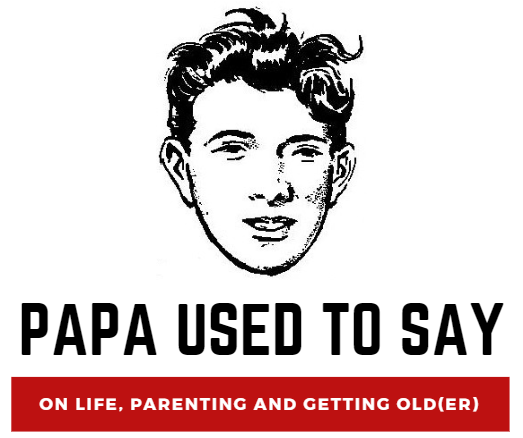 Before I get started through, I invite you to first read about my Papa, for whom this blog is named. Please consider following along by clicking the “Follow Papa” button below. I’m hoping it will be fun and maybe even a little bit meaningful as well.